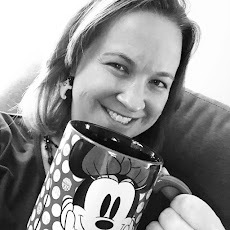 Running on Pixie Dust: Kristi, you just turned 32. . .what are you going to do now? Kristi, you just turned 32. . .what are you going to do now? I'm planning a trip to Disney World! That's right, the Reppe family is headed back to Walt Disney World this fall! For my birthday, my husband gave me tickets to Disney and told me he had already arranged our hotel and the time off of work for me. I'm always excited for a Disney vacation, and the fun of planning now gets to begin again. One of my favorite things about Walt Disney World is that I feel like there is always something new to explore. This trip will be no different! 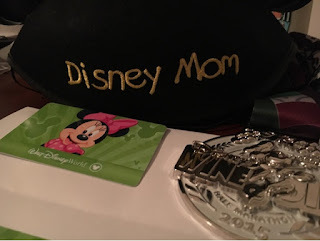 Even though our last visit was just November 2015, there are several things that will be "new" on this trip - whether it's for me or to the resort in general. Mickey's Not So Scary Halloween Party - In all of my Disney trips, I've never been in fall to enjoy the Halloween celebrations. This year, we'll be there the week of Halloween and we will get the chance to enjoy this fun hard ticketed event. Wine and Dine 10K - This isn't official until registration tomorrow, but I'm going to try to get in for the newest runDisney race which was just added to the Wine and Dine Half Marathon weekend. Minnie's Seasonal Dine at Hollywood and Vine - This new character dinner opened last year and we're hoping to score reservations as part of the Fantasmic Dinner Package. Nighttime at Animal Kingdom - This spring, Disney's Animal Kingdom will be debuting several evening activities including Rivers of Light and a night safari ride. The addition of night activities at Animal Kingdom means that this already fun-filled park will pack even more smiles and entertainment. Epcot Updates - By our visit in late fall, there will be two big attractions unveiled at Epcot. Soarin' is currently undergoing a major renovation that will expand your flight beyond California to a trip around the world. And Norway is getting new guests from Arendelle with a ride and a royal meet and greet. And one of the best parts of this trip - it will be our first multigenerational with my parents joining us and the boys! Mouse ears on everyone! Let's get started! !